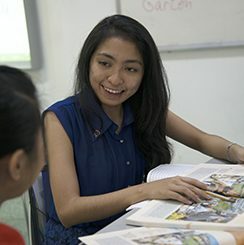 Learn German with the pros: the Goethe-Institut Myanmar offers standard, intensive and super-intensive courses. Once your ability has been individually assessed, you will begin lessons at the appropriate course level. If you have no previous knowledge of German, you will automatically start at level A1.